If your air conditioner has stopped working or it is producing odd noises or smells, you may be in need of air conditioner repair. Finding a good company that you can trust with all your HVAC needs can be hard. The team at Peninsula is here to help! If you are in need of air conditioning repair in Delaware, contact the team of professionals at Peninsula today at 302-629-3001! Your air conditioner is running more loudly than usual – loud noises coming from your air conditioner can be caused by a number of things – a dislodged or frayed fan belt, for instance. As the belt continues to degrade, the noise can get louder and louder until the whole thing finally comes apart. Before this happens, call Peninsula! We can replace your fan belt and lubricate the bearing in your motor to get your AC running as good as new. Your AC coil is frozen – it may seem surprising, but air conditioner coils freezing up are actually pretty common during the summer—especially if you’re not on top of changing your filters (once a month to three months, remember?). Here’s what happens: as warm, humid air passes over the coil, the moisture in the air condenses and moves through the condensate drain as the air flows. If airflow is restricted or slowed down, the moisture remains on the extremely low temperature coil, quickly freezing. Frozen AC coils can cause a number of problems, often starting with reduced cooling capacity and eventually leading to full-on compressor failure. Your air conditioner is leaking – leaky air conditioners not only mean your AC is broken, but they can also open up the door for mold and mildew growth. If your AC condensate drain stops working and you have water inside your home, call one of the Delmarva’s top air conditioner repair companies—Peninsula! We can replace your rusted condensate pan or clear out any blockages in the drain pipe—whatever it takes to fix the problem! Your air conditioner just isn’t cooling – If there are no obvious signs of damage to your air conditioner but it’s not providing enough cool air, call the air conditioner repair professionals at Peninsula! We use the latest tools and technology to figure out exactly what is going on with your air conditioner so we can get it fixed as soon as possible. 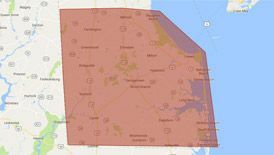 If your air conditioner breaks down this summer and you need air conditioner repair anywhere along the Delmarva Peninsula, call Peninsula today! Need Emergency AC Service? Call the Pros! There are times when your AC system just stops cooling or stops working and you need emergency service. This could be in the middle of the night or it may be on the weekend. 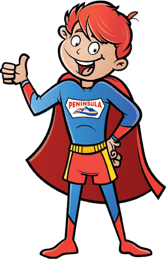 If your home starts to feel unbearable or you are concerned for the safety of those living in your home, rely on Peninsula for emergency service. Call us at 302-629-3001 for emergency air conditioning repair. A Peninsula air conditioning expert will be at your home in no time, ready to fix your emergency cooling problem. Contact Peninsula today to get your energy bills back under control! To find out more about air conditioner repair in Delaware and Maryland, contact us today!